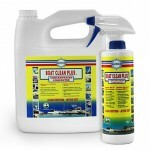 My sailboat came out of the water 2 weeks ago and I have cleaned it with Boat Clean Plus. I have been told that it is better to apply a coat of wax to the hull and leave it on for winter. This apparently will protect the hull against UV. The wax is removed in the spring and a new coat is applied. I would like to have your input on these recommendations. Can I apply Premium Boat Shine at 40C? Cleaning and protecting your boat hull prior to winter storage is an excellent idea for two reasons. First, Premium Boat Shine will protect the fiberglass against UV as well as dirt and pollutants and second, it will save you a lot of time in the spring when your are busy re-commissioning your boat. 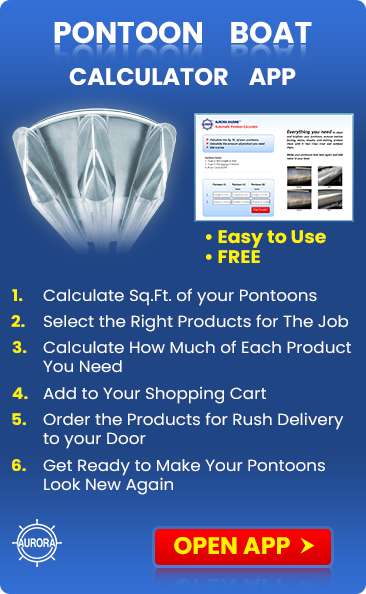 With all the things you need to do to get your boat ready for launch, it’s a hectic time and any chore you can get done in the fall to save you time is a good thing, especially if the weather is not very co-operative. 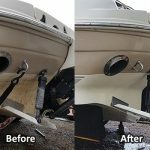 The proper procedure is to first wash your hull with Boat Clean Plus and then go over it with Boat Scrub to deoxidize and deep clean it, then apply one coat of Premium Boat Shine. In the spring, simply wash the hull with a dilute solution of Boat Clean Plus and water, 1:8, to get the winter dirt off without removing too much of the Premium Boat Shine and then apply one coat of Premium Boat Shine and that job is done. Premium Boat Shine is a combination Sealer, Protector. It’s synthetic and does not contain Carnauba Wax so it will give you superior protection and will not yellow. Another good idea is to clean and protect the deck with one coat of Sure Step before putting the boat away. The procedure and logic is the same as above. Boat decks take a real beating from UV, dirt and pollutants over the winter if not protected, even if they are tarped. 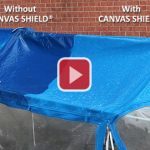 The UV will penetrate through most tarp and shrink wrap material. Sure Step seals the pores in the deck, even the non-skid portions, and protects against chalking from UV. In the spring wash and apply a second coat of Sure Step and another major maintenance job is done quickly. 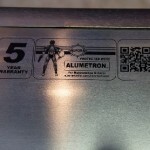 Not only will these procedures protect your boat over the winter, but add shine and value. Don’t forget to place a couple of plastic containers with moth balls in your boat to keep mice and other animals out. They love to nest in boats and chew on the plastic coatings on the wiring, life lines and seats. 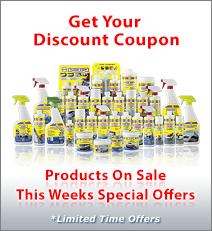 Also add some Odor Free to the plumber’s antifreeze in the holding tank to stop the stinkies in the spring.